PLUS, you can of course make any kind of shape if you need something else. Like a star or a circle. 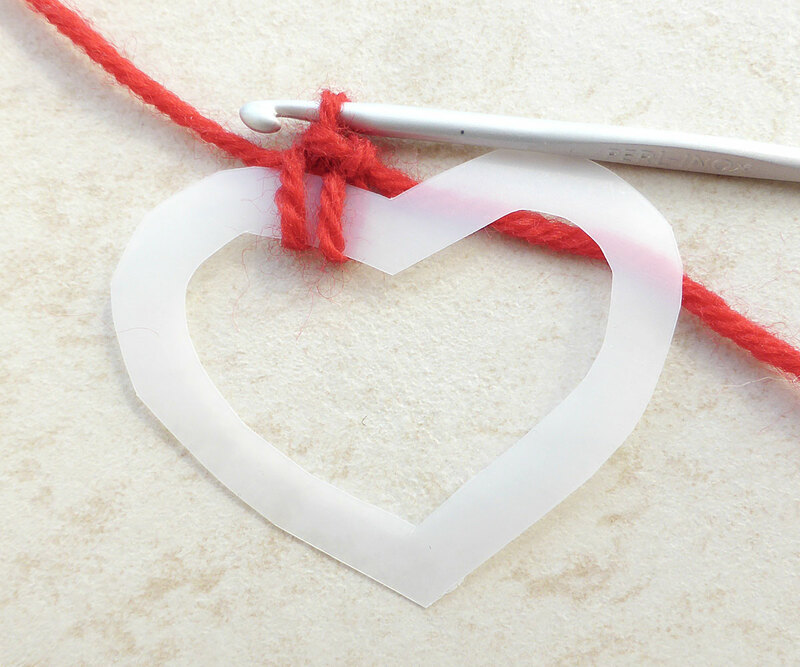 Find an empty plastic bottle and cut out a heart shape. I've saved and used a plain and round vinegar bottle for this heart. As long as the shape is small enough, I don't find that it bends, even though the plastic bottle does. My heart shape here is 7cm wide (2.75in). 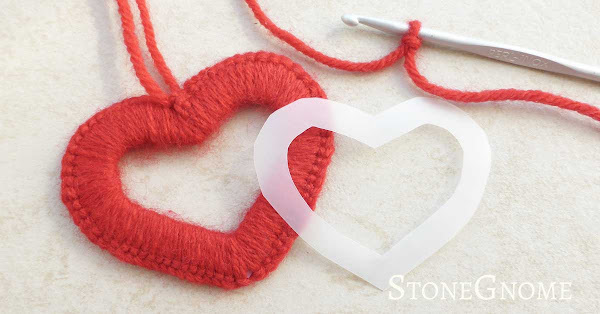 Find a yarn and hook that works well together. I've used a size 4mm (US G-6, UK 8) hook and an acrylic-blend. Getting ready: Leave a long tail (for hanging). 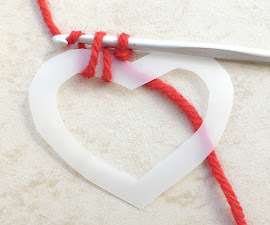 Make a slip knot and insert your hook into it. Insert hook at center of the shape. Yarn over (YO). Pull the hook back through the shape. Repeat 2-4: Insert hook at the center of the heart shape. Yo and pull the hook back. Keep pushing your yarn in place after each stitch, so you know it will fit, where it is supposed to be. It might slide away again, while doing another stitch. Don't mind that. Repeat step 2-4 and make enough stitches so they naturally stay tight together and stay in place. This also prevents any parts of the plastic shape to be visible. 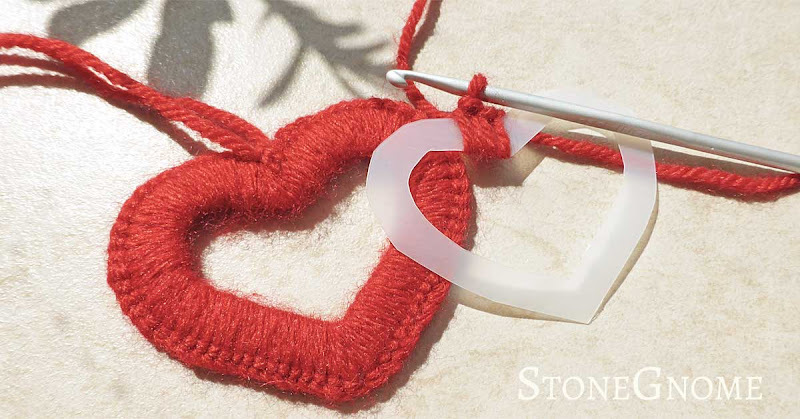 Make it extra tight at the bottom of the heart shape. 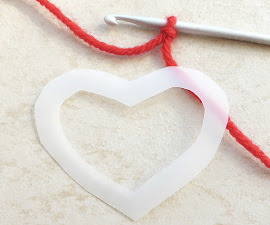 When you have done this all the way around, cut a yarn end long enough for hanging. Pull the yarn through the last loop and tie the current and the initial loose yarn ends together. Follow me for more posts by newsletter, Instagram, Pinterest or subscribe to my YouTube channel. I'm also on Facebook, but due to the new way Facebook works, you can't be sure, if my posts will show up in your newsfeed. 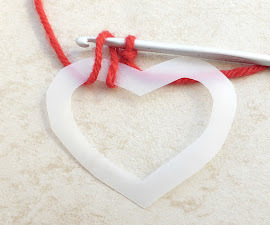 Here are a couple of other hearts, that are made without a plastic shape. If you are more into a heart shaped table topping, you'll find one here. 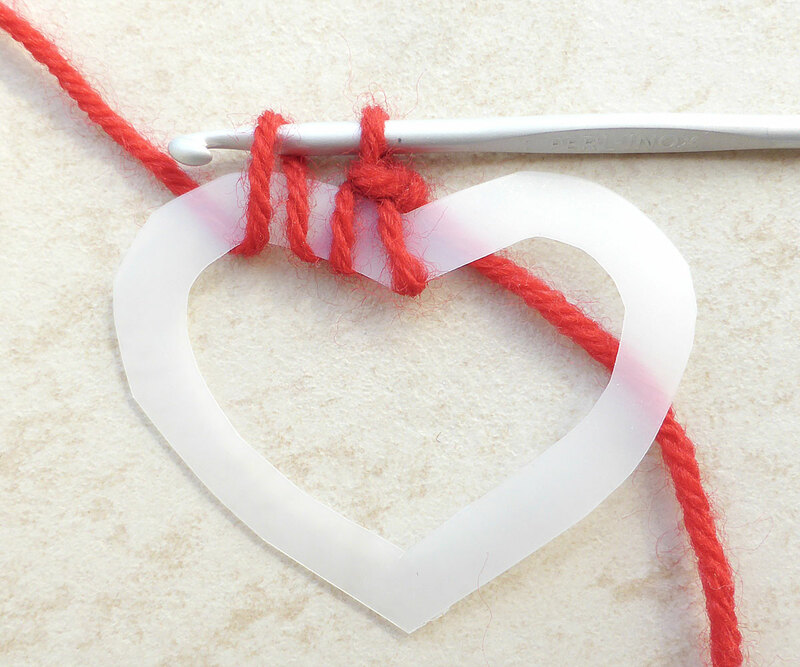 You can recycle empty plastic bottles for more than hearts. Get a list of ideas here.